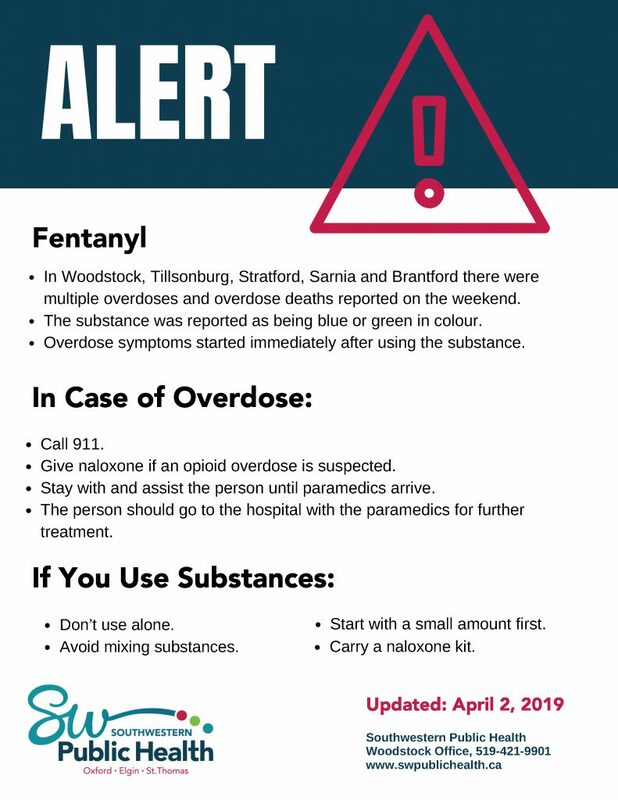 We have received an alert from Southwestern Public Health regarding reports of multiple overdoses and overdose deaths in Woodstock, Tillsonburg. Sarnia, and Brantford. The substance was reported as blue or green in colour and overdoses symptoms occurred immediately after using the substance.